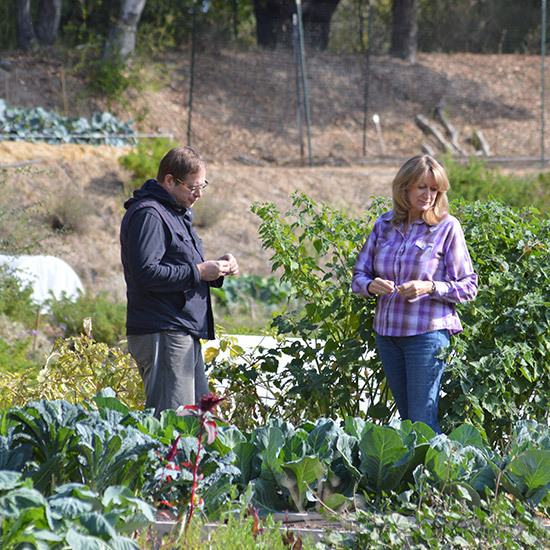 The new documentary The Farmer & The Chef debuted last night in New York City, profiling chef David Kinch of Manresa in Los Gatos, California, and the farmer who grows his produce, Cynthia Sandberg. Here, five Zen master tips on life we learned. 2. On excellence and being in the present moment: “A good chef is only as good as his last meal,” says Sandberg in the film. Farming and cooking – and life – are all ephemeral: we are judged on what we grow (cook, do) today, not what happened yesterday. 5. On patience: Kinch visits Love Apple Farm many times throughout each week; watching the vegetables grow inspires his creativity. When he walks by a cabbage two or three times in the span of a week, he says, watching it grow, the idea for how to use it in the kitchen grows in him as well. By the time the plant has come to maturity and is ready to be harvested, his culinary idea is fully formed and ready too. In other good news, Kinch reports that Manresa is on its way to reopening. While he did not offer a firm date, he did frame the rebuilding progress in culinary terms: the cooks have once again begun pickling and fermenting vegetables in preparation for opening the doors. Learn more about the film at thefarmerandthechefmovie.com.